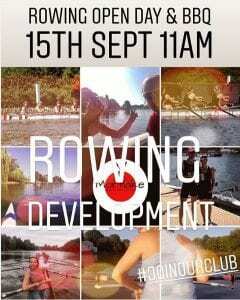 MAABC is starting a development programme under the direction of Director of Rowing, Valentin Piticariu. Following a successful year for the Women’s Squad, we are looking to build on this and also develop a Men’s Squad after nearly 10 years without one. to come and find out about our vision for competitive rowing at MAABC. You should be fit and active and willing and able to commit to a training programme. Please come along on that day to discuss what this entails and meet the Coaches and current club members. We will be holding a barbecue later on and all are welcome. If you are interested please contact Valentin at piticariuvalentin@yahoo.com or come along on the day.